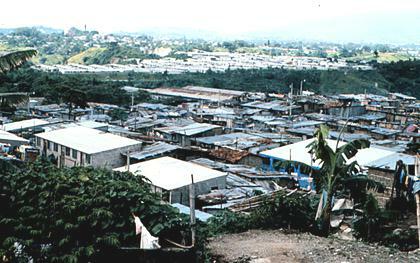 22 de Abril, a marginal community in Soyapango. 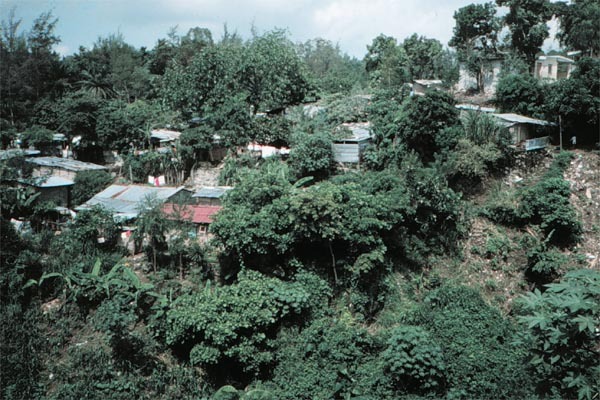 A marginal community on the edge of a barranco in Escalon, the richest neighborhood in San Salvador. 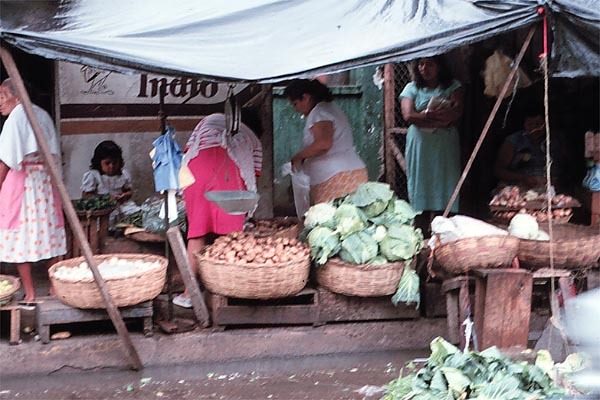 A street market in Santa Tecla. 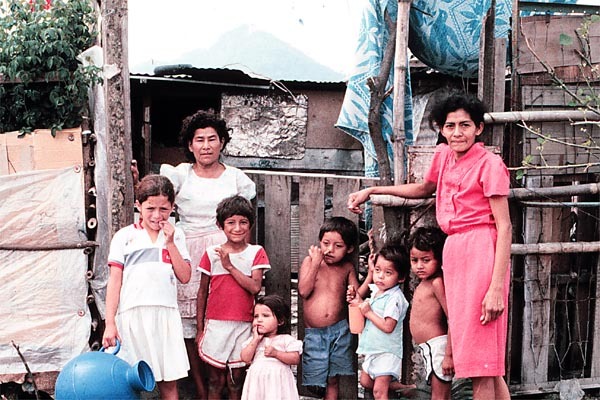 Women and children from two families outside their champa in 22 de Abril. Note the symptoms of malnutrition in the children. 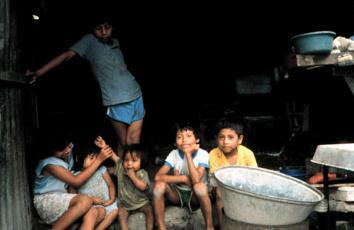 Children left alone for days while their parents work in the coffee areas, near Santa Ana. 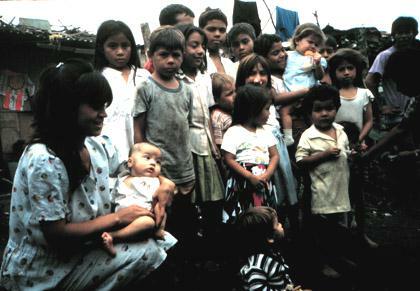 A volunteer daycare worker with children in a marginal community in San Miquel. A government school in a marginal community near Santa Tecla. They didn't even provide new sheet metal. 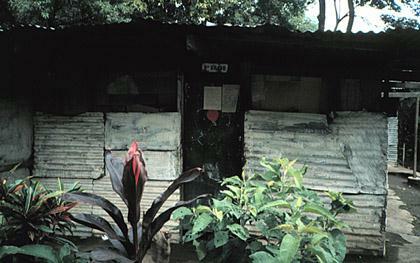 When i returned two years later, the school was closed, and the police had taken the shack over as a station.